This review is in memory of brothers Ivan and Mate Sobol; who were the role models as fine physicians; public figures and antifascists. Doctor Ivan Sobol (1885-1941) graduated from the Medical School in Prague and changed several Croatian towns before he settled in Crikvenica in 1912; where he worked until his death. The townsfolk remembered him by skilful practice; then by his activity in promoting health tourism in Crikvenica and especially in promoting collaboration and friendship with other nations, Czechs and Slovaks in particular. When WW2 broke out; Ivan Sobol worked under cover for the antifascist movement, but was betrayed and shot by Italian fascists with a group of hostages. Like his elder brother, doctor Mate Sobol (1904-1943) graduated in Prague and practiced medicine in his own office and then as a navy physician in Selce. After Italian occupation and the execution of his brother in 1941, he joined the partisan movement. He mostly practiced in a partisan hospital in DreŽnica. During an enemy offensive in 1943, he had to hide with his sick and wounded patients and suffer extreme conditions. He died of typhus the same year. 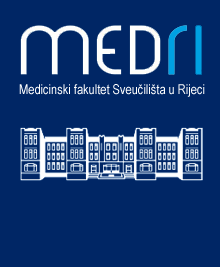 In memory of the Sobol brothers Rijeka General Hospital bore their name for a number of years.